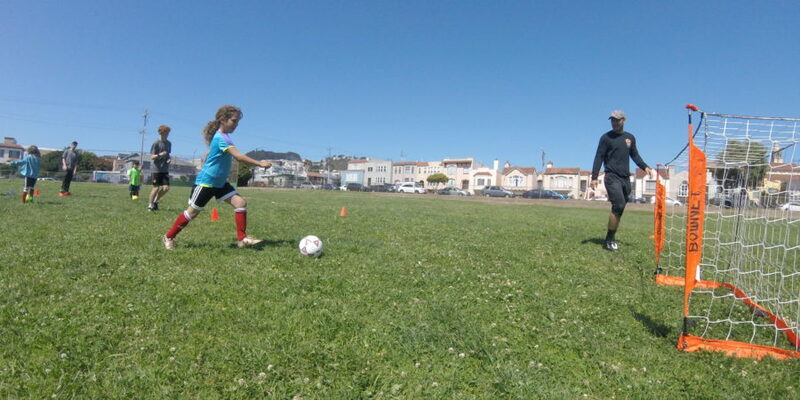 Part one of the Grassroots soccer coaching methodology is play. The players are there to play, so why not play? Your own experience of ‘play’ at practice is likely to have been at the end of the practice – do good / play hard and get rewarded with a scrimmage. Players are playing Soccer. Not standing in lines, waiting for coach to make up a practice etc. You don’t need to make them run laps to ‘burn off energy’ or to help them ‘focus’. You only need 1 player to begin. You vs 1 player. A second arrives, they play 1v1. And so on for small-sided games. You can allow players to control their environment – pick their own teams, set up their field even. It can be exciting to get to practice and start playing. Players will get warm as they play. Older players should have moments of stoppages to allow for dynamic stretches too. Want to work on improving 1v1’s in attack? Any time a player does it well, or should have done it / lost the ball in doing so, make a point to voice it. “1v1 Julie – can you tell me why you passed instead of beating her 1v1?”, for example. Use play for your players to warm up, to enjoy themselves, to be competitive, and to play the game. 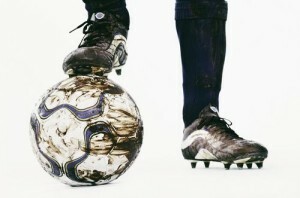 Keep balls close by to reset the game quickly so little time is wasted. Encourage players in the game – don’t use the time to talk to parents or catch up on work emails. Keep your attention on the games, rotate players and team over short periods of time for fast, competitive action. Watch what the players know, what they need to know, and let them be in control for as much as possible in this phase.